Below is a video on our student’s views on Student’s Council, Academic performance, Extra-curricular, Mentoring, Discipline and finally a comedy sketch from a parent’s perspective. Students appearing in this video include: Adam Barrett, Emily Burke, James Browne, Weronika Dymarkowska, Becca English Aoife Fahey,Ellen Maher, Kevin O’Connor and Shauna O’Dwyer. 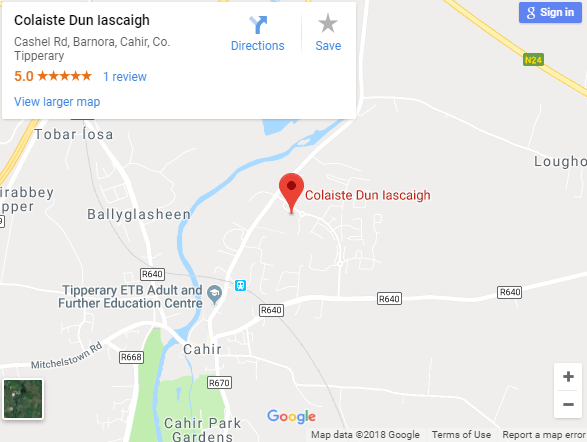 Coláiste Dún Iascaigh, Cahir. An overview of our school and our values.